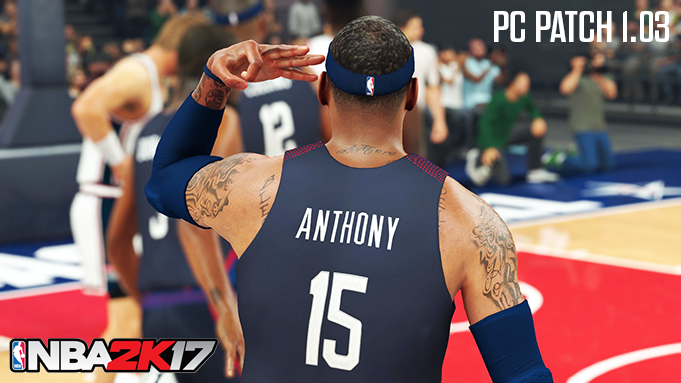 2K Sports has finally released Patch 1.03 for the PC version of NBA 2K17. The update includes fixes to crash bugs, issues that made players unable to save their earned attributes, plus numerous gameplay tweaks and improvements specially for MyPark and Pro-Am mode, and a handful of PC-specific updates as well. The patch weighs in at 500 MB which is quite small compared to the patch on the consoles, but it is likely due to Steam's high compression and optimization. Check out the full patch notes below.